The mission of Cornerstone Crossroads Academy is to develop urban youth through transformative education, equipping future leaders to impact their communities for Christ. The Lord has been so gracious to provide us with multiple ways to accomplish this mission. This school year, He has done so through a new course. CCA volunteer Lisa Doolittle, along with a host of eager, talented, Christ-loving friends, has led an art class for interested students this year. Prior to this offering, students only option for art was an online art appreciation class. Through this class, Lisa and friends have given CCA students a more modern, hands-on approach to art that they have thoroughly enjoyed. They have opportunities to explore creative outlets and express themselves freely. Now, they can truly say that they have an appreciation for art. Over the past two quarters, Lisa's art class has heard from individuals who work in various occupations within the art industry. Guest speakers have included a graffiti artist, graphic designers, and painters. Field trips involved observing local art pieces and murals in neighboring Downtown Dallas, Deep Ellum, and the Bishop Arts District. We've met new volunteers through this class, and some of our regular volunteers have shared their artistic talents. The art class students have bonded in ways that they might not have without this class. All in all, we have seen the Lord do wonderful things through this class. 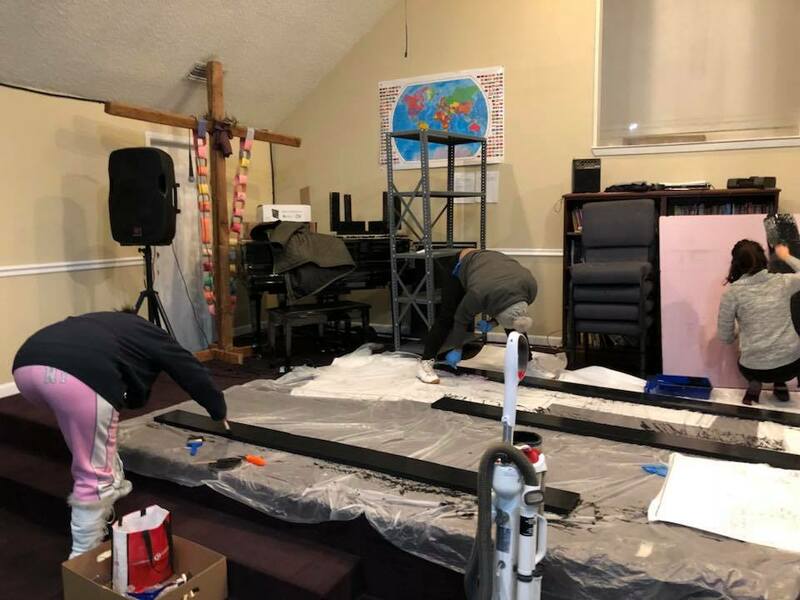 Designing and building the Cornerstone float for the Dr. Martin Luther King Jr. Parade was the final project for the Fall 2017 Art Class led by Ms. Lisa. 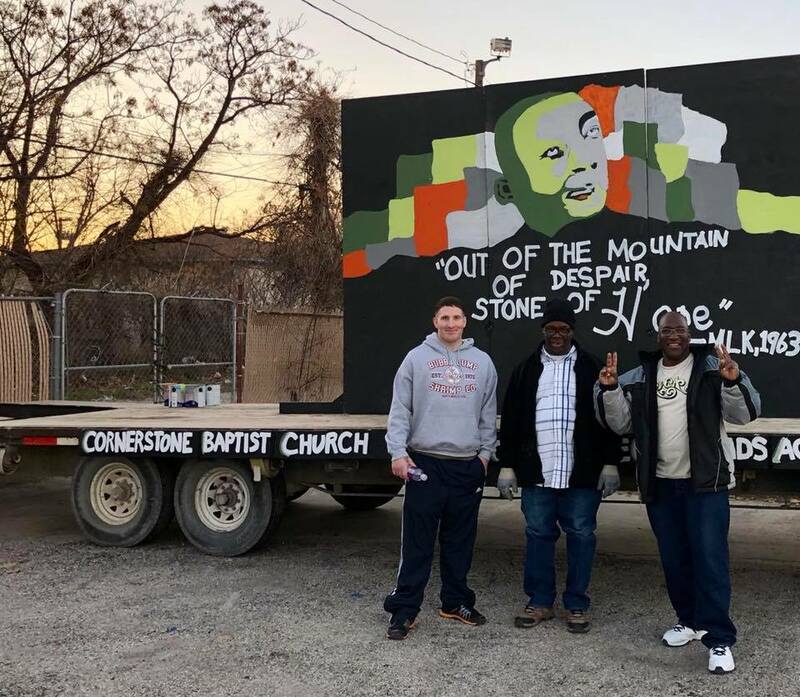 The theme of the MLK float was to design an abstract painting of Dr. Martin Luther King Jr. The students were also tasked with choosing a quote from Dr. King that spoke to them. Given that the name of the church and school is Cornerstone, they were drawn to the following statement: "Out of a Mountain of Despair, a Stone of Hope," from Dr. King's 1963 I Have a Dream speech. Students and volunteers worked diligently to plan and paint the float, which the students proudly rode in this week's parade. View photos by Lisa below!